With its flood defenses strained, the crippled city of Houston anxiously watched dams and levees Tuesday to see if they would hold until the rain stops, and meteorologists offered the first reason for hope — a forecast with less than an inch of rain and even a chance for sunshine. The human toll continued to mount, both in deaths and in the ever-swelling number of scared people made homeless by the catastrophic storm that is now the heaviest tropical downpour in U.S. history. 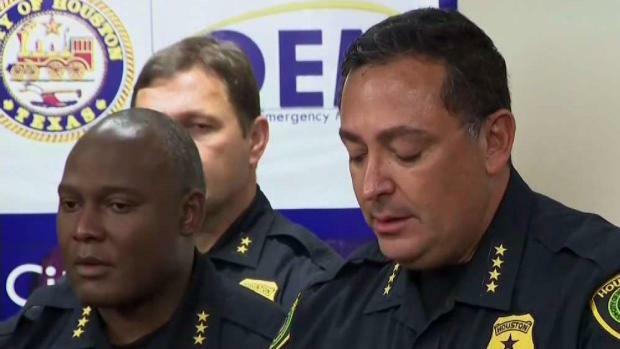 The fifth storm-related death was a Houston police officer, who drowned in his patrol car as he was driving to work, officials confirmed Tuesday. Sgt. Steve Perez was heading to work Sunday when he became trapped in his car in high water on Interstate 45 in north Harris County. 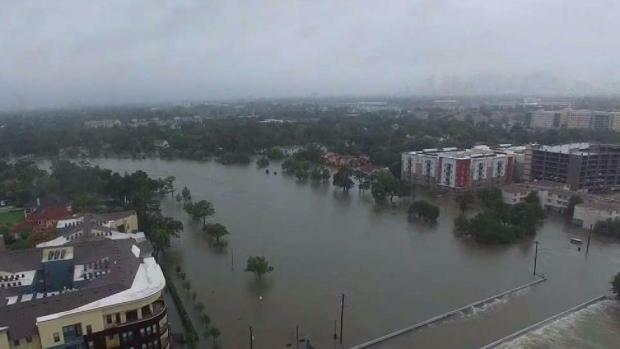 In addition, a pair of 70-year-old reservoir dams that protect downtown Houston and a levee in a suburban subdivision began overflowing Tuesday, adding to the rising floodwaters from Harvey that have crippled the area after five consecutive days of rain. News 4's Ray Villeda was in Houston Tuesday reporting as the devastation unfolds. See his reports below. Ray Villeda reports live from Houston as officials report that a local police officer has drowned in the region's deluge. 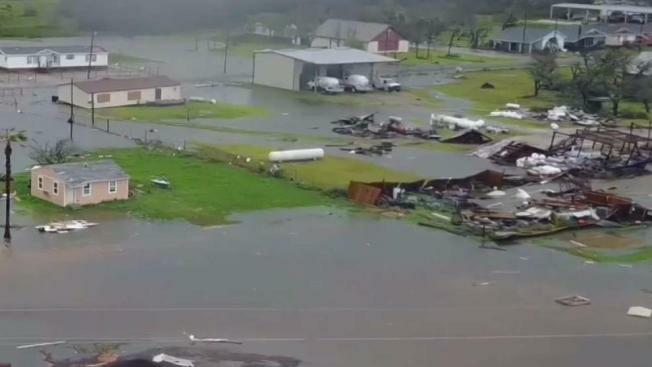 Ray Villeda reports live from Texas at 5 p.m. on the latest death toll resulting from the United States' most significant rain event in history. 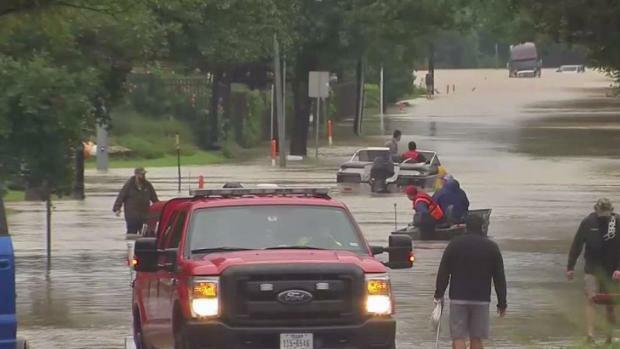 Ray Villeda reports live from Texas as there is a break in the rain and rescues continue with heavy hearts.